Many colors including chocolate, lavender and points. We reserve the right to determine final placement of any cat/kitten at any time. 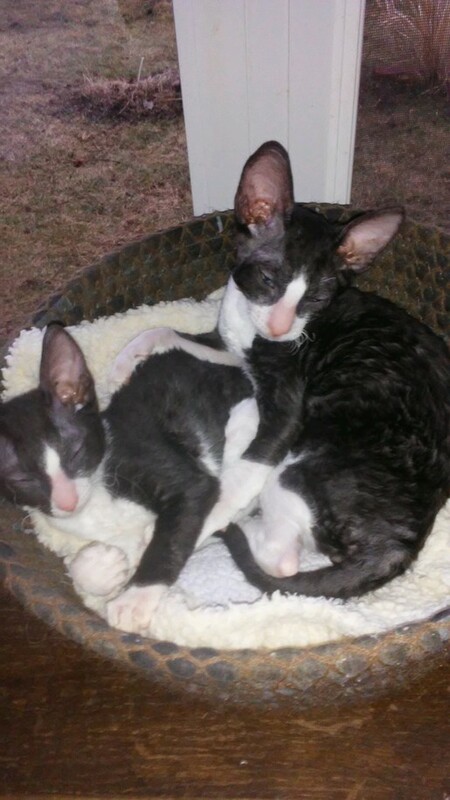 PRACTICE SAFE REX - WE SPAY & NEUTER & Guarantee the health of your Cornish Rex Cat. Kittens available in April/May 2019. email for details. Kittens available boys and girls. Several colors............ Retired adults available. Sometimes! Beware of backyard breeders!! 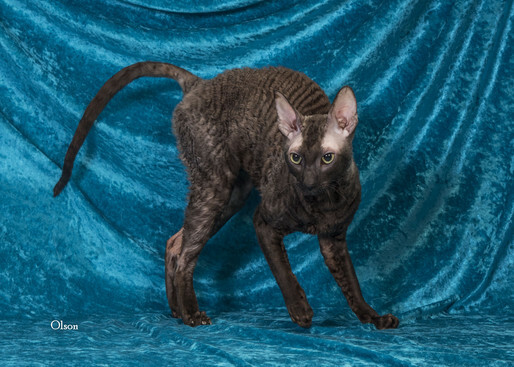 Cornish Rex were first recognized in a barn in Cornwall England and imported to the United States in 1960. They come in all colors including points. This is a very outgoing busy, busy breed. They stay young at heart and active all through their long lives. Once you are owned by a Cornish Rex you will want more!!! 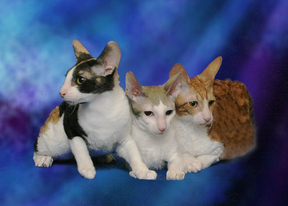 Breeding and showing Cornish Rex exclusively for over Forty years. New kittens are here, we have many colors available and both sexes. Kittens start @ $900.00.